Representative Luzviminda Ilagan survived the blast that rocked the House of Representatives shortly after the session adjourned Tuesday night. Ilagan was reportedly bleeding due to shrapnel injuries when brought to Malvar hospital. 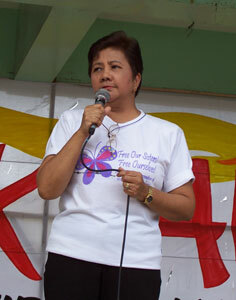 She was declared in stable condition a few hours later. Ilagan was hurt in her right thigh and legs; and part of her hair also got burned. 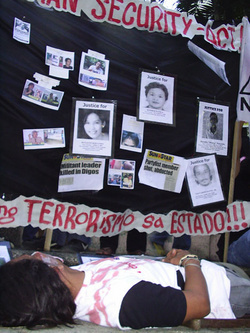 Human Rights Watch: Since January 2000, radical armed Islamist groups in the Philippines have carried out over 40 major bombings against civilians and civilian property, mostly in the south of the country. They have killed civilians indiscriminately — Christians and Muslims, men and women, parents and children — and left behind orphans, widows, and widowers. 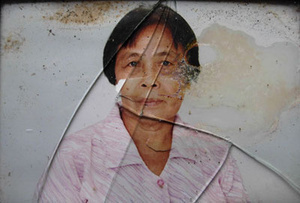 Hundreds of other victims have suffered severe wounds, burns, and lost limbs. In all, the bombings and other attacks have caused over 1,700 casualties in the last seven years, more than the number of people killed and injured in bombing attacks during the same period in neighboring Indonesia (including the 2002 Bali bombings), and considerably more than the number of those killed and injured in bombings in Morocco, Spain, Turkey, or Britain. 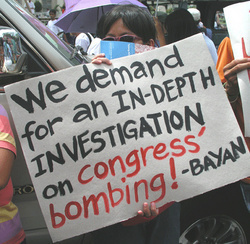 The Bagong Alyansang Makabayan together with progressive peoples’ organizations, civil libertarians and human rights group disputes the definition of terrorism in the HSA, saying it is prone to abuse by the authorities since it is too vague and broad. Who defines such terms as “widespread”, “extraordinary”, “panic”, “populace”, “unlawful” and so on? 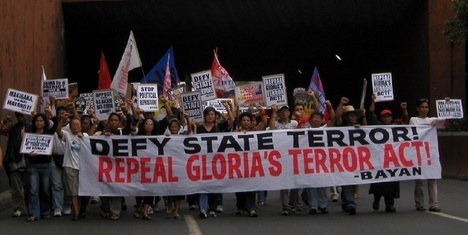 Even legitimate dissent can be interpreted as terrorism since under the HSA the definition is not limited to the Abu Sayyaf Group, Jemaah Islamiyah and Al Qaeda.